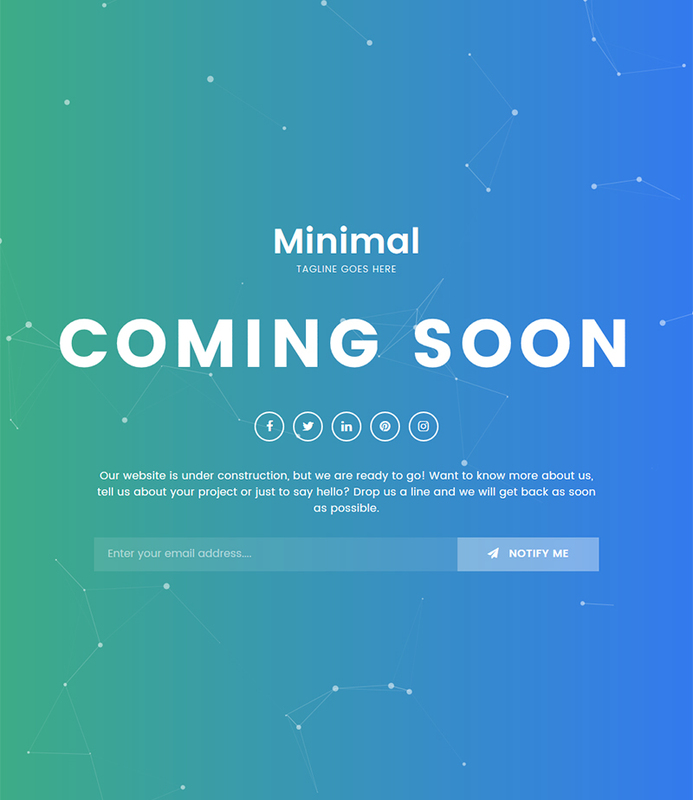 Minimal coming soon website HTML template with gradient background and particle effect. There is a separate section to showcase short message to inform your visitor with coming soon message. There is an option to link social media account profile. 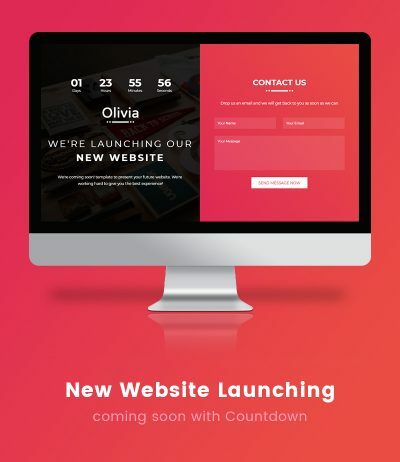 This coming soon template built with bootstrap 1170px grid layout so it looks perfect on all the devices and browsers. 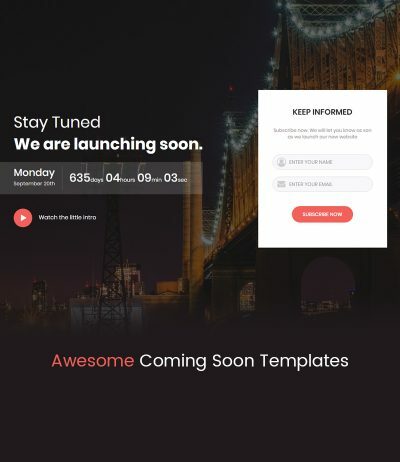 This coming soon template is a Modern look with high-performance HTML theme. 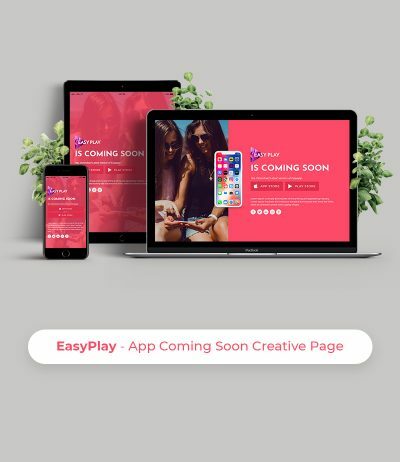 You can use it for multipurpose website coming soon template like Agencies, General Business, App launching etc. 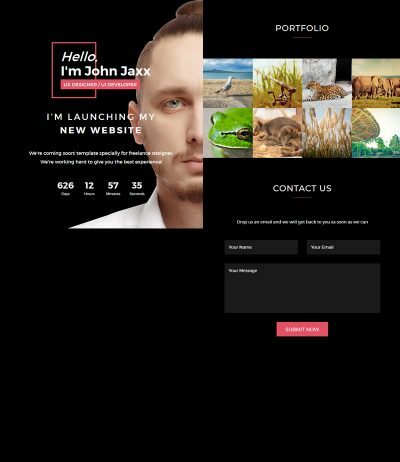 it built with bootstrap framework so it’s a fully responsive.